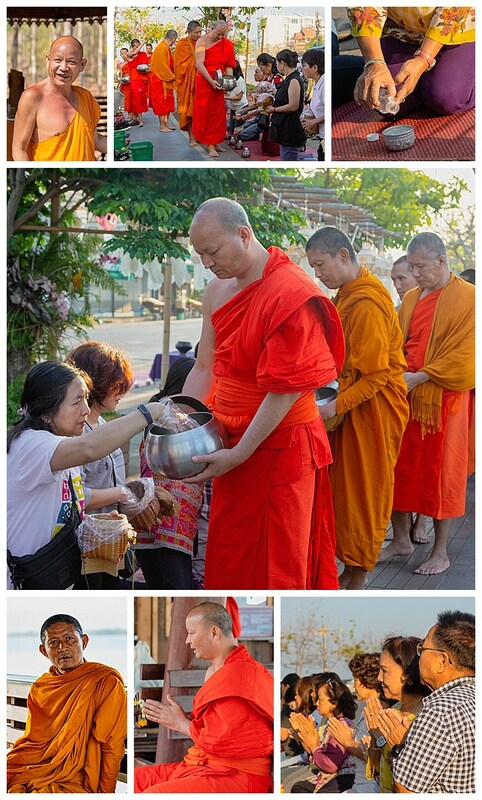 Every morning at 7:00AM, the monks go to the temple in Pha Tang to receive food and alms from the local people. The head monk offers daily blessings in return. We got up early to see the people prepare the food and watched the procession, as shown above. 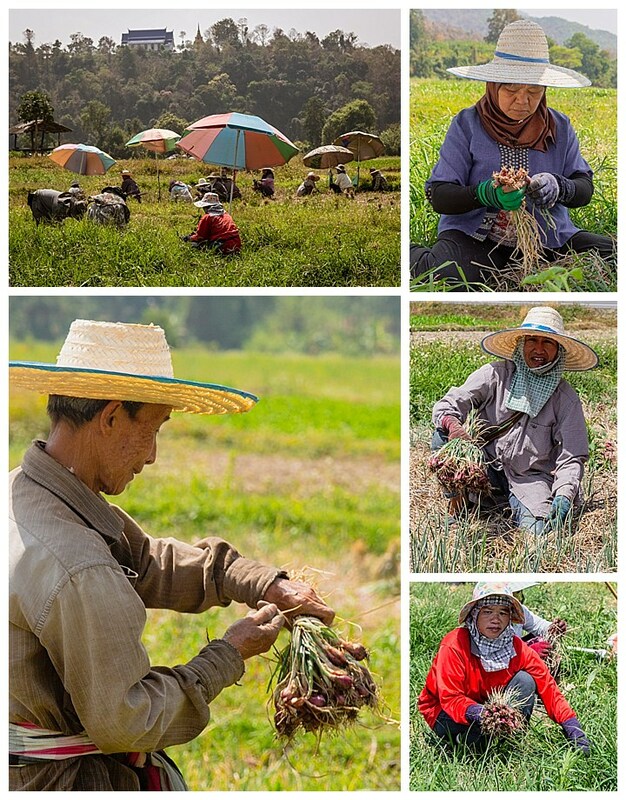 Along the way, we came across some farm workers in a field harvesting scallions. We were told that the scallions are generally larger, but that the meager rains this year have stunted the crop. 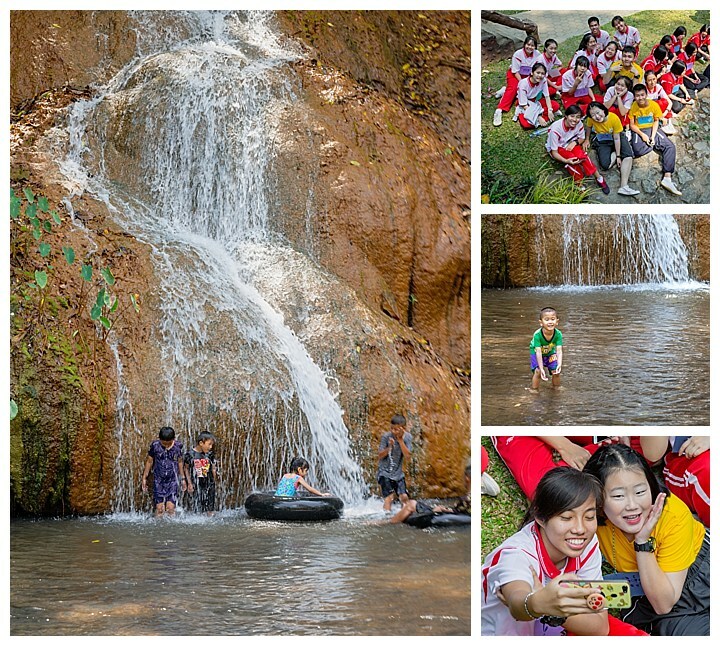 The Nam Tok Phu Saung national park is a popular place for families to enjoy the day, while the children play in the pool under a gentle hot waterfall, allowing everyone to escape the heat of the day. There was a school field trip the day we visited.